Salut, and welcome to our lesson about French adverbs at Language Easy! As a matter of fact, if you’re learning French, then sooner or later you will have to learn about adverbs. So, what are they ? Well, actually the denomination is a little bit of a catch-all, and includes more or less all the words that don’t belong to the other categories. So this will be a little bit like a vocabulary course somehow. There is some grammar lesson material though. Que sont les adverbes ? Adverbs (les adverbes) modify the meaning of other words : verbs, nouns, adjectives, or even other adverbs… It’s a category of words very diversified in form, usage and meaning. Another keypoint is that all adverbs are invariable in gender and in number. 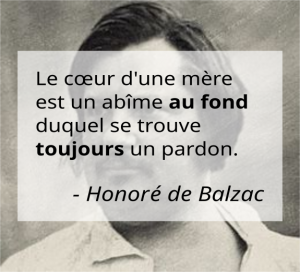 Il m’a parlé de vous. J’avais envie de vous rencontrer. = He told me about you. I wanted to meet you. Il m’a beaucoup parlé de vous, alors j’avais très envie de vous rencontrer bientôt. = He told a lot about you, so I wanted very much to meet you soon. Adverbs can be words or group of words; in which case they are called adverbial locutions (locutions adverbiales). They usually are formed with a preposition like à, de, en. Je suis parti de chez elle à contre-coeur. Adverbs are generally classified according to their meaning : adverbs of cunjunction, quantity, place, time, affirmation, negation, interrogation, logical relationship, mood. A useful way to classify French adverbs is to find out which question they answer : for instance, the adverbs of place answer the question « where ? », etc..
Also, we can produce adverbs from adjectives that we’ll learn at the end of this article : the derivation. Il a plu toute la journée. Je suis rentré mouillé. = It rained all day. I got home wet. Il a beaucoup plu toute la journée. Je suis rentré tout mouillé. It rained a lot all day long. I got home all wet. Il a plu partout toute la journée. Je suis rentré ici mouillé. = It rained eveywhere, all day long. I got here wet. The adverbs of basically answer the question « when ? » and give an indication of the position in time, or of chronology. Il a plu toute la journée, aujourd’hui. Je suis encore rentré mouillé. = It rained all day today. I got home wet, again. Il a plu toute la journée. Par conséquent, je suis rentré mouillé. = It rained all day long. Therefore, I got home wet. The adverbs of conjunction play the role of linking sentences together, and as such, they can modify the meaning of a whole sentence. Il a plu toute la journée. Pourtant, je ne suis pas rentré mouillé. = It rained all day long. However, I didn’t get home wet. Oui, il a plu probablement toute la journée. Je suis rentré vraiment mouillé. = Yes, it probably rained all day long. I got home really wet. As it should be, adverbs of negation are used to make negative sentences. In this sense, they are almost always part of an adverbial locution. Non, il n’a pas plu toute la journée. Je suis rentré sans être mouillé. = No, it did not rain all day. I got home without getting wet. Quite simply, the adverbs of interrogation are used to ask question. Pourquoi a-t-il plu toute la journée ? Quand pourrai-je rentrer sec à la maison ? = Why did it rain all day ? When will I be able to get home dry ? The adverbs of modality carry a sense of subjectivity, and as such they inform about the mood or attitude of the person who is speaking about what he is saying without stating any actual fact. Hélas, il a plu toute la journée. Je suis malheureusement rentré mouillé. = Alas, it rained all day. I got home wet, unfortunatly. Most adjectives can be transformed into adverbs, with the intention to modify the meaning of another word. To do so, we add the suffix –ment to the end of the feminine form of the adjective. Il m’a parlé longuement de sa jeunesse. = He told me of his childhood at length. Finally, a few adjectives derive into an exceptionally formed adverb. As much as it’s a helpful process, some adjectives don’t accept derivation. For example, it would be incorrect to derive ébahiement from ébahi (flabbergasted). Nethertheless you can always construct a nominal locution like this : de façon ébahie (in a flabbergasted way), or d’une manière ébahie (in a flabbergasted manner). Il ouvrit la bouche ébahiement de façon ébahie / de manière ébahie. = He opened his mouth in a flabbergasted way. Et voilà, we reached the end of our lesson about French adverbs. You sure have learnt a whole bunch of new vocabulary today, and took a big step in your study of French. 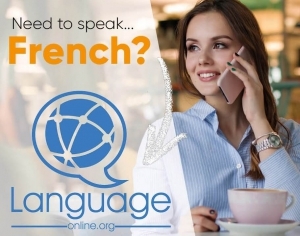 If you want to go even deeper into the subject, don’t hesitate to see our other articles in this section, or go to the next one to learn about French pronouns.